painted cabinets, faux painted cabinets, re-staining cabinets. Quality finishes for your kitchens, bathrooms and built-in furniture pieces. 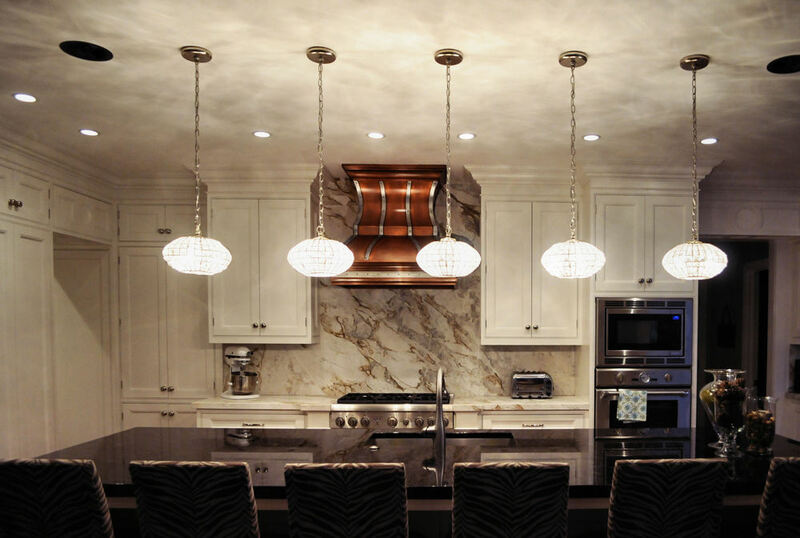 Luxe Walls is happy to provide you with a free cabinet consultation. We offer a complete range of options from stripping and re-staining, painting, glazing and a variety of specialty finishes suited for kitchen and bathroom cabinetry. We apply only the most durable products to ensure lasting finishes. For most cabinet projects we start by taking your doors and drawers to our shop. They will be cleaned in a multi-step process to remove all airborne grease and normal kitchen grime. Cabinets are sanded, minor imperfections are filled and sanded again. Great care is taken in each step. Doors and drawers are often sprayed. When they are dry, we will wrap the number pieces and reinstall them and the hardware. The cabinet boxes are normally finished by brush (varies based on finish). We certainly understand being without your kitchen would be a headache. That's why we strive to give you back your space at the end of each work day. Most cabinet projects are completed in two weeks time.